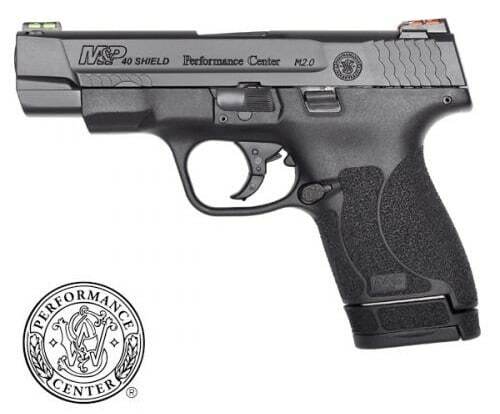 Smith & Wesson has nine new optics-ready Performance Center M&P Shield slimline models with and without red dots and porting, all with 4-inch barrels. 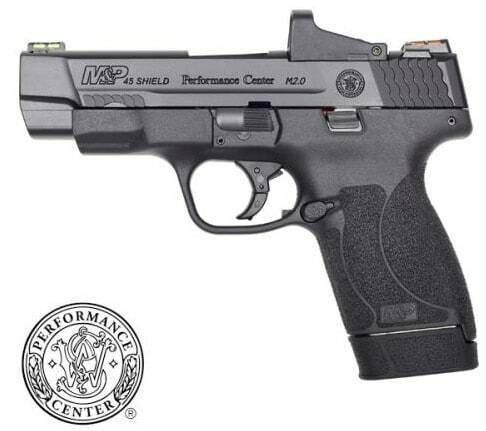 The new run of compact handguns from the company’s Performance Center is offered in 9mm, .40S&W and .45ACP and come standard with a slide cut for optics — a move that Smith says is a first for the Shield. Similarly, all come with a HI-VIZ front and rear fiber optic sights, and a tuned action for a smoother trigger pull with a tactile and audible reset. Overall length is 7 inches while weight is 21 to 25 ounces depending on caliber and optics, specs which largely mirror Glock’s slimline G43 9mm and G36 .45 ACP offerings which do not currently have the option for a factory RMR cut. 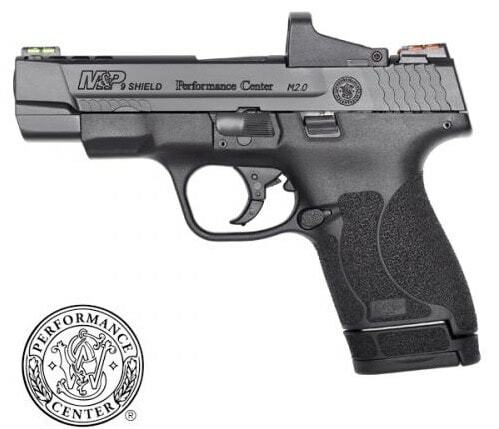 Smith is promoting the new line as a single-stack carry gun that offers the ability for mounting red dots. The next step up in the series comes with a 4 MOA red dot sight in all three calibers. MSRP is $826. Finally, there is a version with both the optic and a ported barrel and slide for $854. All models ship with a pistol cleaning kit and two mags, one flush and the other a +1 extended finger grip.